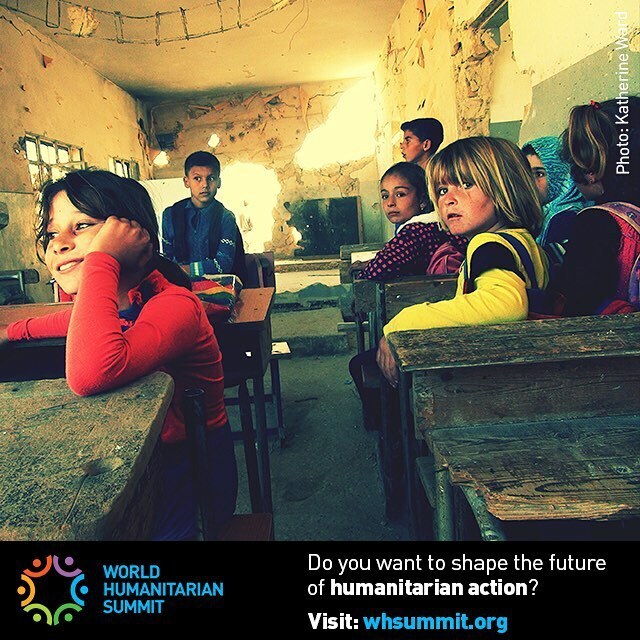 Preparations for the World Humanitarian Summit are heating up. The vast consultation process is coming to an end. I’ve been closely involved in work on ‘community engagement’ and accountability to affected people. Can you help strengthen recommendations in this area? The WHS consultation has been truly international, involving something like 15,000 people from around the world. Across it, there has been a vast clarion call for humanitarian action to be more people centred, more locally led, more respectful and responsive to local context and priorities. Too often, international agencies act independently, with a supply-led orientation. Operating practice is dominated by a contract culture of winning grants from donors and delivering them, which limits affected people’s influence. Dialogue with affected people and their representatives takes time and a thoughtful approach, relevant to the local context – and this tends to be squeezed out. Agencies are not effectively held to account for the quality of their work. Adopt the principle of subsidiarity as a core principle. Create leadership positions for community engagement within agencies & responses. Ensure the coordination body for every response is appropriate and accessible for local leadership (wherever possible). Hold operational leadership accountable for the levels of community and government engagement achieved. Adopt the Core Humanitarian Standard. Develop new common accountability mechanisms to assess and report performance at the project level, using disaggregated community feedback and global standards. Ensure good practice by operational agencies (e.g. transparency, participation, responsiveness, using collective platforms, and comprising for the common good). Ensure good practice by donors (e.g. transparency, simplifying grant procedures, requiring good practice by grantees, enabling flexibility, and compromising for the common good). Legislate to include these recommendations in disaster response laws. It’s clear that there’s no single magic bullet. Decision making is fragmented across independent agencies, working with a degree of co-ordination. There is limited authority over the collective response. So we need a co-ordinated set of actions. It seems important to make existing operating practices work better – in particular, the dominant ‘contract culture’ of over-stretched field teams winning and delivering grants. If these practices can enable and incentivise community engagement, then there could be real progress. If they can’t, then there won’t. This is an acid test for reforms. Community feedback seems to have great potential to create incentives for more respectful and responsive programmes. There’s also a strong need for agencies to work better together, making compromises in support of better collective action. There are mixed arguments about certifying agencies against the new Core Humanitarian Standard. Some see it as a driver and guarantee of quality. Others say the lessons from HAP’s experience haven’t been learnt, so it risks creating more bureaucracy without tackling the ‘contract culture’ problem. There are calls to set up a global independent body to scrutinise humanitarian assistance. But the idea needs developed much further. What would it do? How would it exert real influence? How would it avoid becoming another cog in the global – or Western – bureaucracy? Others have suggested a trip advisor for aid, for affected people to rate aid agencies. Again, the devil’s in the detail. There’s plenty of innovation around feedback and technology, and good practices are emerging to learn from. But the idea still needs shaped, if it’s going to work in wildly different contexts from Nepal to Syria – and influence the contract culture. Other related ideas being worked on elsewhere in the summit process include vastly increasing cash programming and funding direct to national organisations. But does all of this still feel too much like business as usual? What else could drive real change? Ideas need to be realistic, given the range of humanitarian actors and the way funds tend to flow. Can we come up with anything that’s more ambitious and transformational? What do you think? Please get in touch or add comments below. We’re currently working towards the Global Consultation in mid October, when draft recommendations will be discussed by governments, UN, civil society and others. Time is tight and the opportunity immense. The summit needs your help to make the most of it. This Summit is a unique opportunity to develop a strategy and make commitments to ensure humanitarian aid/assistance is demand driven. Aid workers can no longer afford to ignore or pay lip service to community engagement and participation in decisions that affect the lives of the people we serve. This is not just about accountability. It is more so about responsiveness based on the local context.